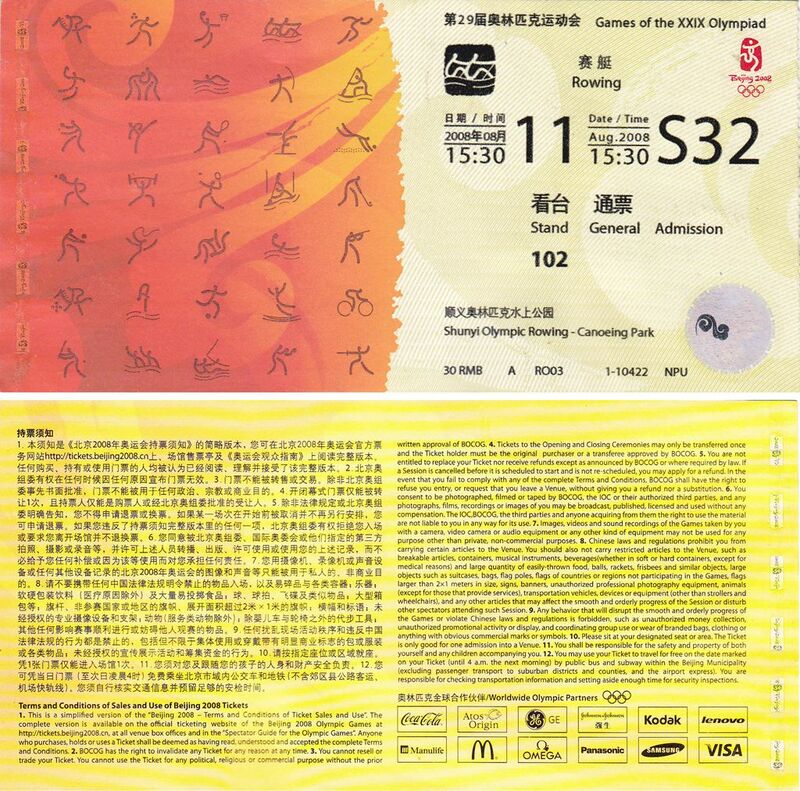 T6001, Beijing 2008 Olympics Game Ticket, Football. VF condition, please refer the picture. Used. Ticket for Olympics football. T6002, Beijing 2008 Olympics Ticket, Basketball. VF condition, please refer the picture. Used. Ticket for Olympics Basketball. T6003, Beijing 2008 Olympics Ticket, Rowing. VF condition, please refer the picture. Used. Ticket for Olympics Rowing. 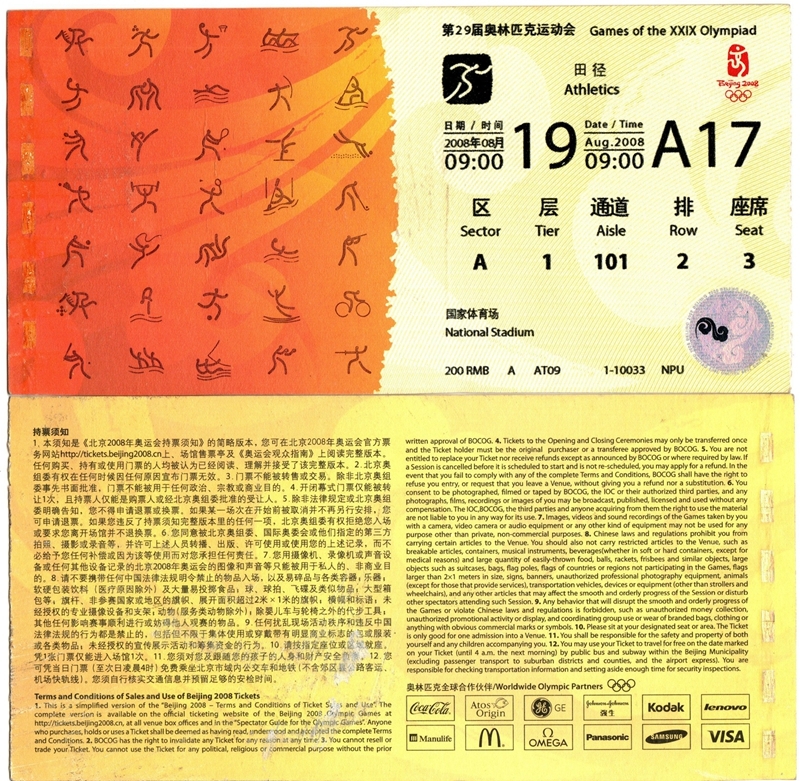 T6004, Beijing 2008 Olympics Ticket, Athletics. VF condition, please refer the picture. Used. Ticket for Olympics Athletics. 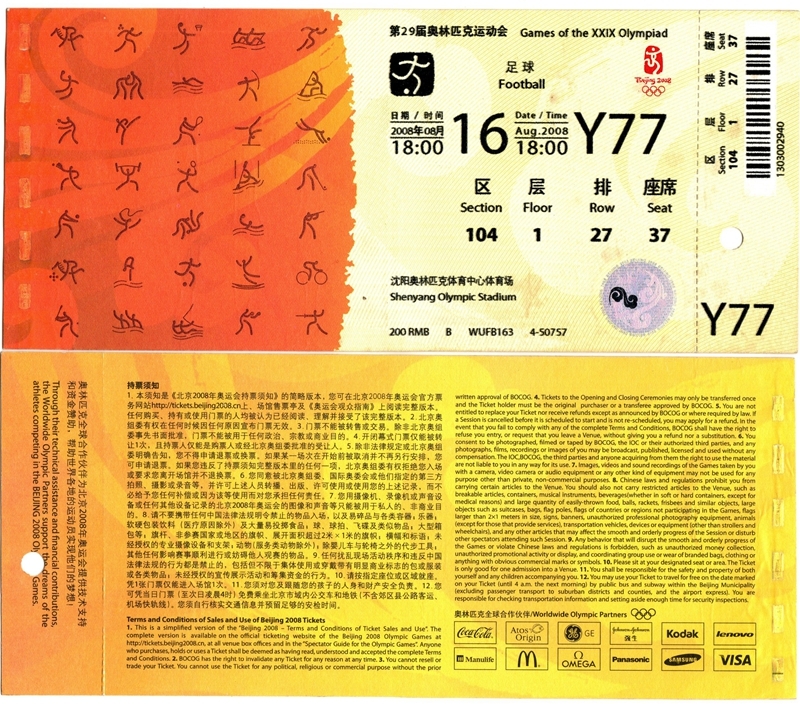 T6005, Beijing 2008 Olympics Ticket, Football 7-a-Side. VF condition, please refer the picture. Used. Ticket for Olympics Football 7-a-Side. T6010, Beijing 2008 Paralympics Ticket, Powerlifting. VF condition, please refer the picture. Used. Ticket for Olympics Powerlifting. 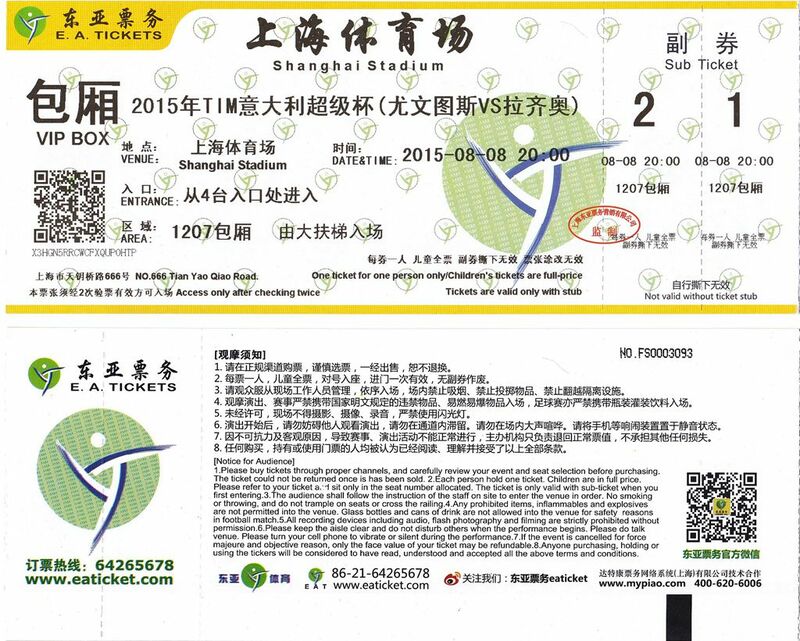 T6101, 08/08/2015, Ticket JUVENTUS with LAZIO in Shanghai, Italy TIM, with Coupons. VF condition, please notice this is a new unused ticket, but unvalid, with full two pcs coupons. Played in Shanghai Stadium, on Aug 8, 2015.